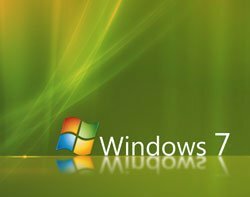 Virtualisation can help keep legacy Windows XP client applications running on Windows 7. Forrester analyst David Johnson looks at best practice. Virtualisation can help keep legacy Windows XP client applications running on a Windows 7 environment. Forrester senior analyst David Johnson looks at virtualisation best practices. Client virtualisation initiatives require cross-team and cross-technology collaboration. But Forrester finds most virtual desktop projects are led in a siloed fashion by either the datacentre team or the desktop team. When datacentre teams lead client virtualisation initiatives, they first seek to leverage existing hypervisor technology skills and try to make the datacentre side of the environment as easy to manage and secure as possible, even if their decisions will reduce user accessibility or result in a less useful service. How well the client virtualisation solution performs on the network, how users will request access to new environments or how the client pieces will be rolled out and updated globally are considered someone else's problems to solve. When desktop teams lead the client virtualisation project, they tend to think about user experience and access as well as how to manage the virtual desktops across widely distributed geographies. However, they usually fail to consider critical datacentre items such as how server capacity will be monitored and expanded, how network segments need to be routed for roaming users and data backup and recovery needs. To make matters worse, often either no one consults critical infrastructure teams, such as networking and storage, or businesses do consult them but don't act on their advice because of schedule or resource constraints, making it more difficult to plan and deliver an optimised infrastructure to support the client virtualisation initiative. Yet these are two of the largest sources of unexpected costs and risks to client virtualisation initiatives. IT I&O leaders must realise that neither the datacentre team nor the desktop team alone has enough experience or visibility to make the decisions required in the planning and deployment process or the tools to manage the resulting hybrid environment effectively. Isolated planning leads to inappropriate and impractical hardware, software and tool decisions. The results are always disappointing. This is the downstream effect of inadequate planning and uninformed or uncoordinated decision-making. For example, an insurance company reported its storage plan didn't consider virtual desktop usage patterns and it suffered a major outage with data loss. Poor network performance is another common problem, usually because no one consulted the network team or gave it adequate time for analysis and planning. Organisations try to manage virtual desktops with the same policies and settings they use for physical desktops. In one case, the desktop management team applied a software patch policy set to run at the same time every day on a large group of physical desktops as on the virtual desktops, bringing the server infrastructure to its knees. Higher operational costs most often stem from tool duplication and too many manual steps in managing and provisioning processes. Adding a second tool to patch virtual desktops is unlikely to be justified by the few extra features it offers, given the cost and complexity it adds. The most common sources of operational costs and, by extension, productivity-sapping delays, are in the request automation and image/profile management areas. In many organisations, to get access to a virtual desktop, users or their bosses have to call the service desk and wait while a human twists the knobs and pushes the buttons to provision instances. Meanwhile, on the back end, dozens of virtual desktop images are laboriously maintained and assembled one by one for each department or group. Of the 772 inquiries Forrester received in 2010 on desktop transformation, 78% sought advice on desktop virtualisation and improving user experience. Many were confused about what it means to support the needs of the business with client virtualisation. Many think the magic formula is cutting costs and moving as fast as they can. While true in some projects, there are a significant number of client virtualisation deployments that fail to meet user needs and have to be redone, or else the costs have spun out of control. In one example, a regional hospital chose its virtual desktop solution because it was based on terminal services technology familiar to the datacentre operations team. However, the solution couldn't support streaming video, which doctors needed for reviewing patient CT scans while on call out of the office - a clear disadvantage to the business user (in this case, very highly skilled and highly paid surgeons) and the customer. When we accept that the success of a hybrid environment is defined as how well it meets the true needs of the business and its value for the money spent, and that deploying and managing a hybrid environment requires a broad range of skills, why would anyone short-change the planning process or fail to gather the right combination of experience from the start? You need to get the right brains in the game from the beginning. Start by building a hybrid team with knowledge and experience representing the technology domains involved (especially the needs of users), give them clear priorities, and give them incentives to work collaboratively. Challenge them with answering critical questions before moving out of the planning phases, and push your vendors to deliver hybrid management capabilities. Small teams work faster and experienced people work smarter when they're not distracted by other priorities. Nevertheless, we recognise few organisations have the resources to dedicate specialists to every project, even a project with the importance and business impact of client virtualisation. For these reasons, plus the need to keep a laser focus on the needs of the business and users, Forrester recommends building a small, dedicated core team augmented with the skills and knowledge of a half-time specialist team representing the technology domains involved. Build a core team to drive the project. Your core team should: ensure focus on the agreed upon goals; define the priorities; define the use cases and architecture; keep the project moving; drive collaboration; make key platform, tool, and process decisions; and communicate with stakeholders and executive leadership. This team should at a minimum comprise a product or service manager or owner, an architect and a programme manager. If you're planning custom development work, you should seriously consider an execution owner. Hold the core team members accountable for the quality of their work in each phase of the project, alignment with executive and key stakeholder objectives, and meeting project milestones and commitments. Assemble an extended team to provide guidance and execute in their technology domain. Your extended team should have deep and relevant experience in each of the technology domains that the hybrid environment will rely on. This team should collaborate directly with the core team and each other and use their knowledge to help guide the team's efforts while respecting the project priorities and goals. The extended team should be held accountable for delivering excellent, collaborative input to the planning process on time and coordinating with the other stakeholders in its domain to prepare for execution. In the execution phases, the extended team members should have the authority to make decisions and marshal resources in their area. Hold them accountable for executing the plan to a high degree of quality. This is an extract from Forrester's report, Client Virtualization Will Fail Without A Hybrid Approach (September 2011) by Forrester senior analyst David K. Johnson. David contributes to the Forrester blog for IT infrastructure & operations professionals.